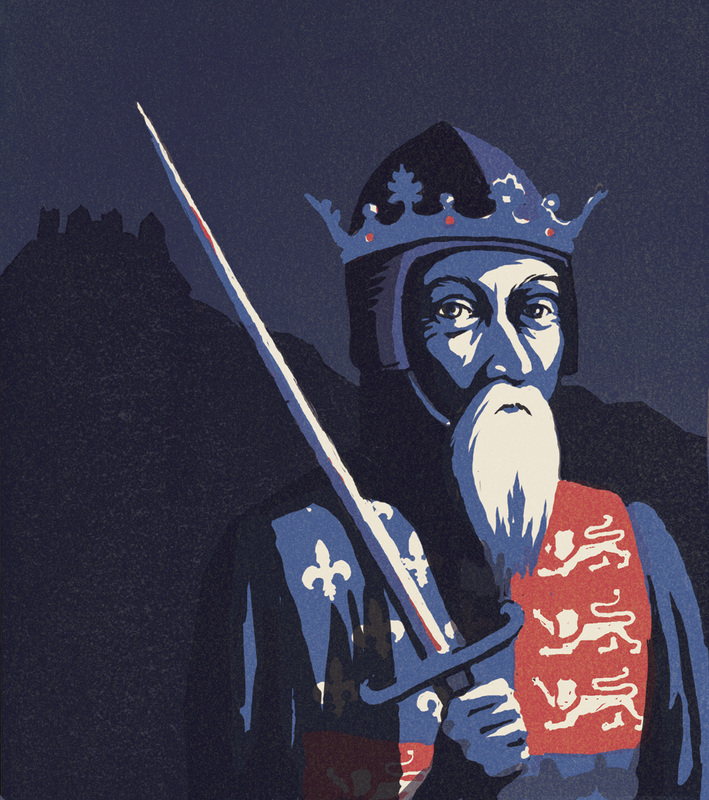 Just before Christmas I completed a linocut book cover illustration of Edward III for the Penguin Monarchs series. 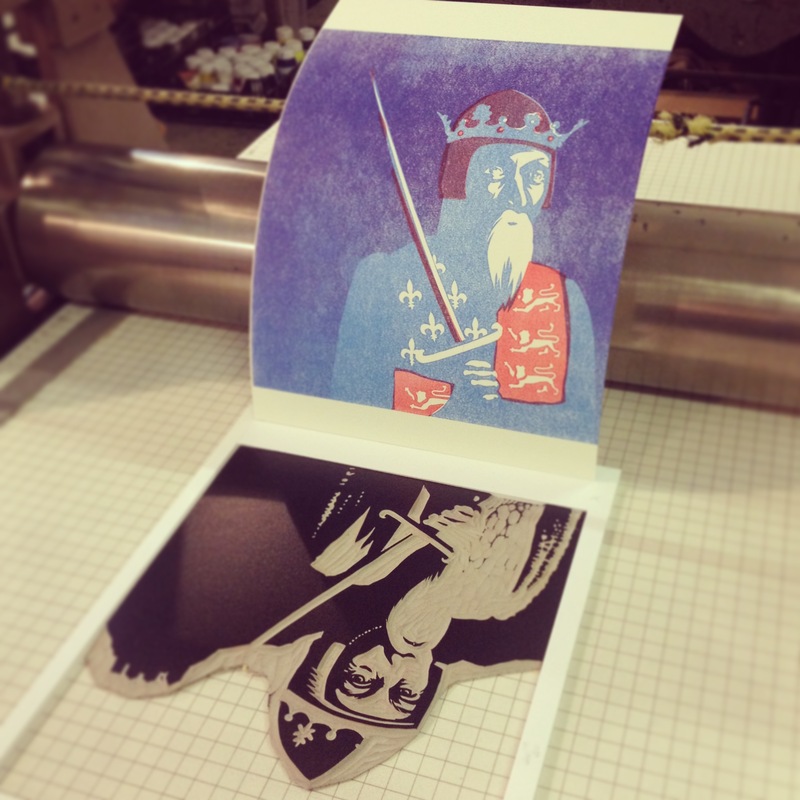 This ongoing series is being designed by Pentagram and will cover all England’s rulers from Athelstan to Elizabeth II. It was my favourite kind of commission – an open brief, which means creative freedom to illustrate a subject as you want. I’ll admit to not knowing much (anything!) 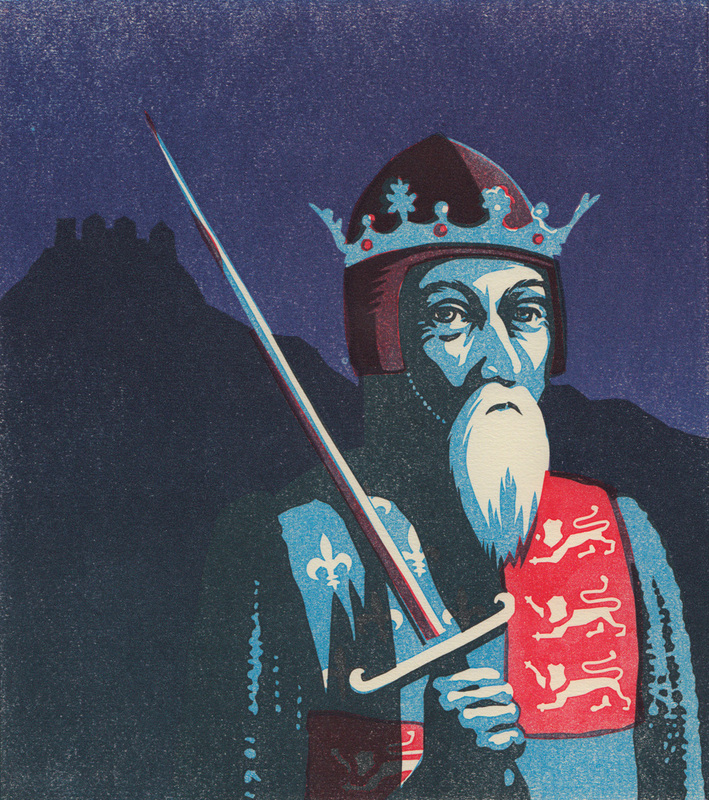 about Edward III, so it was fun reading up on him and discovering that he started the Hundred Years War with France and led his army to victory in the battles of Crecy and Poitiers. 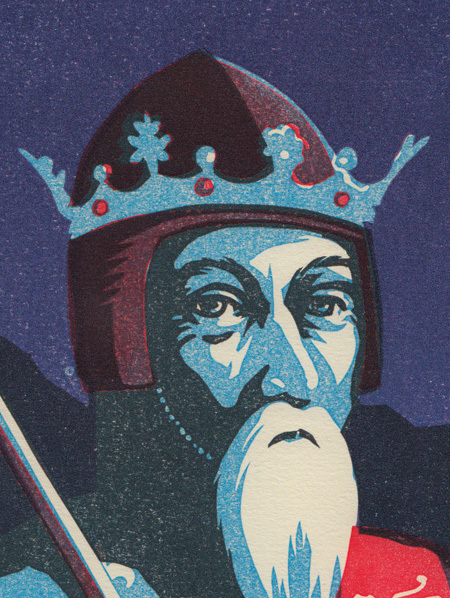 He was also one of the longest reigning monarchs and lived to the ripe old age of 64, not bad for the 14th century. 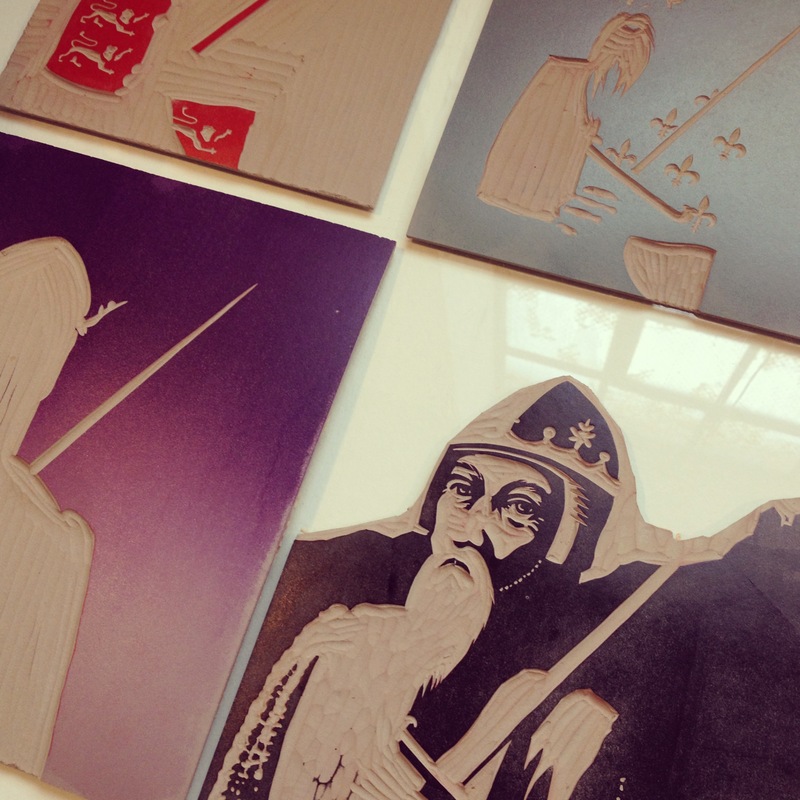 Below are some photos of my illustration process, including the rough designs and the carving and printing of the linocut. The final illustration is always a slight variation on the original design, due to the idiosyncrasies of the printmaking process. In this case I wanted quite a lot of texture to bring interest to the background, which shows the silhouette of the ramparts at the Battle of Crecy. 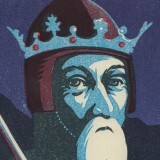 I’ve portrayed Edward III as an old man, using an amalgamation of source material for his costume. 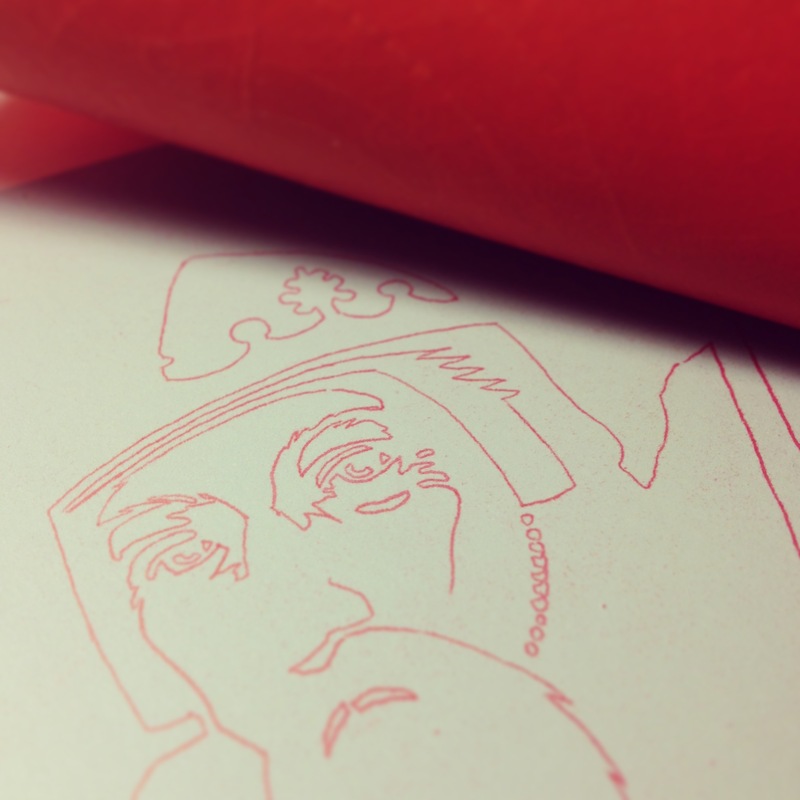 The linocut was made from four blocks and took me two days to carve and print. Each layer is planned ahead in Photoshop, using transparent layers to work out how the layers of ink will look in the final linocut. I enjoy the process of layering inks to create new colours and add shadow. If you’re interested in learning more about how I do this, I teach a Colour Linocut weekend workshop at Hello Print Studio in Margate. Hi Colin. It depends on the design and what I’m doing it for. If it’s a book cover I have to present a design to the publisher before I carve the lino, so I mock it up on the computer. Then I can make any changes more easily. Other times I just plan it in my head or as I go along. This turned out awesome. Looks great on the cover too. 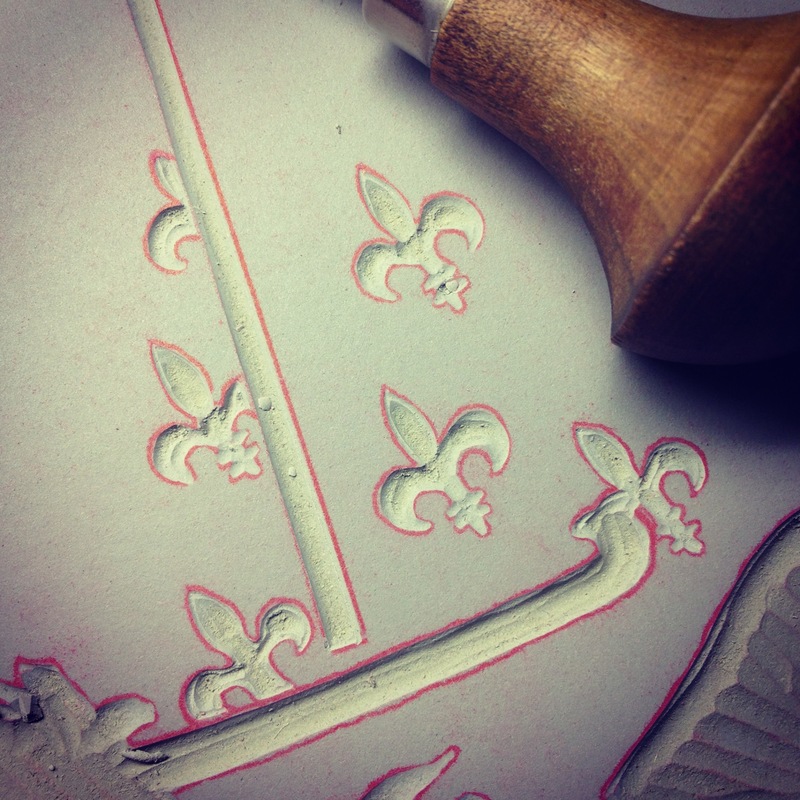 Love seeing the process – thanks for sharing! Did you use transparent a transparent medium mixed with the ink?